Mark your calendars! The 2013 Armchair BEA agenda is now live!! The Armchair BEA team is excited to finally announce the agenda for the 4th annual Armchair BEA! We have had lengthy discussions, we have read through your feedback from previous years, and we have settled on our daily topics. Read on for more information, and do not forget to register for the event! One thing that we have changed for this year is we have added multiple topics for each day to discuss: one that is topic-based and one that is genre-based. This will provide participants an opportunity to chat specifically about the topic at hand or share something generally about the selected daily genre (i.e., list of favorites, books you would recommend, a piece that changed your life, a recurring re-read, etc.). In essence, we will be providing interactions regarding blogging and reading -- the best of both worlds! As in previous years, you will have the opportunity to link up your personal posts and reactions for each topic so other participants can stop by and join in the conversation. In addition, we will also be adding a NEW opportunity for participants to link up to genre-specific lists to assist in networking with like-minded bloggers. We kick off the week by starting with introductions of ourselves. Last year, we changed things up by having everyone answer questions from a pre-determined list. It was such a hit, that we are doing it again. The questions and more information will be posted in the weeks leading up to the event, so you can plan accordingly. Our first genre discussion will revolve around classic literature. Ideas for discussion include a list of your favorite classics, books you would recommend to a non-classic believer, or even what draws you to keep reading those classics over and over again! Day 2 we talk about how we develop ourselves as bloggers. Have you branched out into your community? Do you partner with other bloggers? Have you gone "pro" or begun supplementing your income through your blog? Are you a long-term blogger, and how has your online personality developed over the years? These are simply ideas. Think development and tell us what comes to mind. The book-ish focus will be genre fiction. What draws you to a specific genre? Do vampires, zombies, or witches float your boat? Or, do you prefer the heat of romance? Recommend your favorite genres and/or books and help build reader TBR shelves a bit more! We take a break from official discussions on Thursday to allow participants to hop around the web and enter blogger-hosted giveaways! Start planning your giveaway now! The genre of discussion is general literary fiction. Which works of art have changed your life? Be creative and make a list outlining books featuring specific subjects (i.e., animals, recommended prize-winners, outstanding authors, etc.). We get back into discussions on Friday with the heavy topic of ethics. Do you have recommendations to new bloggers to ensure credit is given to whom/where credit is due? Have you had an experience with plagiarism? How did you deal with it? What are the guidelines as bloggers that we must follow? We bridge the genre gap from fiction to all things non-fiction. Do you read non-fiction? Why or why not? Is there a specific type of non-fiction that you prefer to read (i.e., historical, true crime, memoirs, biographies, etc.)? What is the perfect book for a first-time non-fiction reader? What exactly does "keeping it real" mean? The meaning lays in keeping. How do you not only grow an audience, but how do you keep them coming back for more? If you have been around for years, how do you keep your material fresh? How do you continue to keep blogging fun? Our final genre focuses on the younger crowd: children's picture books and young adult literature and everything in between. What are the top 5 (or more) books that every child should have on his shelf? If you are an adult who reads YA, why do you keep going back for more? If you are not a reader of these books, think back to your childhood and share your favorites from your younger years. On this final day, we encourage you to wrap-up the week with your favorites and highlights of the week. Did you learn something new? Did you connect with a new-to-you blogger? What was your favorite discussion topic? Do you have ideas for future years? You can write your own blog post and link it up, but we also encourage you to take our end-of-event survey. In addition to the daily topics, we will also be featuring special guest posts, photos and videos from on-site, featured giveaways, twitter parties, and so much more. Be sure to check back here often to stay up-to-date on all the upcoming and ongoing news in the weeks to come! We are excited to announce that it is now time to register for the fourth annual Armchair BEA!! Read on for more information and to get all the details of the biggest event of the year! Armchair BEA is an online conference that runs in conjunction with Book Expo America in New York City. There are a large number of people around the world that are not able to join in the literary celebrations in the Big Apple, so Armchair BEA brings the celebration to you by allowing networking among other book bloggers, authors, and publishers as well as special coverage of the event, all from the comfort of your own comfy armchair. For more information, be sure to check out our new FAQ page! Part of the excitement of making the trek to BEA is in part meeting so many wonderful authors & publishers, but also the amazing books you come in contact with, many of which you take home. Armchair BEA strives to bring many of the aspects of Book Expo America into the homes of our fellow book bloggers in every way possible, including through our sponsors. Each year we've had an astounding amount of Sponsors, from authors to publicists and many of the publishing houses attending the event in NY. This year we'd love to continue that tradition and this is where our Sponsors come in! As part of this event, you will have two options . . . (1) **Sponsorship** hosted right here on the Armchair BEA site or (2) a giveaway hosted on your own personal blog or site. For the latter (personal giveaways), we will have a post available during the week of the event with you to link to your own site. This post is for those who wish to do the 1st option and be a Sponsor for Armchair BEA. Please Note: This year, because of the high number of sponsors over the last few years, we are asking that book bloggers wishing to sponsor Armchair BEA be those that are unable to participate in the "Giveaway Day" during the event week. If you know that you will not be able to participate in the event (for whatever reason) than please feel free to fill out the form below to sign up to be a sponsor! We believe that our Sponsors truly make Armchair BEA one of the best ways to participate in BEA from the comfort of their very own homes and appreciate each tremendously! 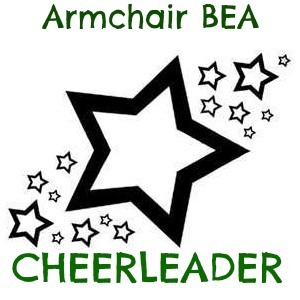 If you wish to be a Sponsor for Armchair BEA 2013, please take a few moments to fill out the form below. PLEASE NOTE: If you wish to have your item(s) hosted here, credit and link love will be given to you and we will handle the contest itself; however, you will still be responsible for shipping your item(s) to the winner(s). Shipping information will be provided to you by one of the Armchair BEA chairs once they have been selected. Sponsorship offers will be accepted until Sunday May 19, 2013 to allow for time to prep proper publicity for each. Thank you! Sponsors, if you still have questions feel free to contact Jasmine, Tif, Pam or Danielle at armchairbea (at) gmail (dot) com. If you unable to view the form below, you can also access it here. Armchair BEA is quickly approaching and you will begin to see more information coming your way in the very near future, from a call for sponsors to the opening of registration. However, before we get into the thick of all the details, we wanted to announce new members of our Armchair BEA 2013 team! As a reminder, here are the original members that will be continuing this year . . .
We would like you all to welcome our Commenting Committee Chairs . . . These ladies will be coordinating a team of bloggers who will be commenting on and encouraging all participants during the week of Armchair BEA. And, we are also excited to announce a *NEW* role to focus on our participants around the world, our International Liaisons . . . These two will be bringing an additional perspective to our team since they are themselves from around the world. Please give the new team members a very warm welcome and be sure to be checking back for more information coming your way very soon!